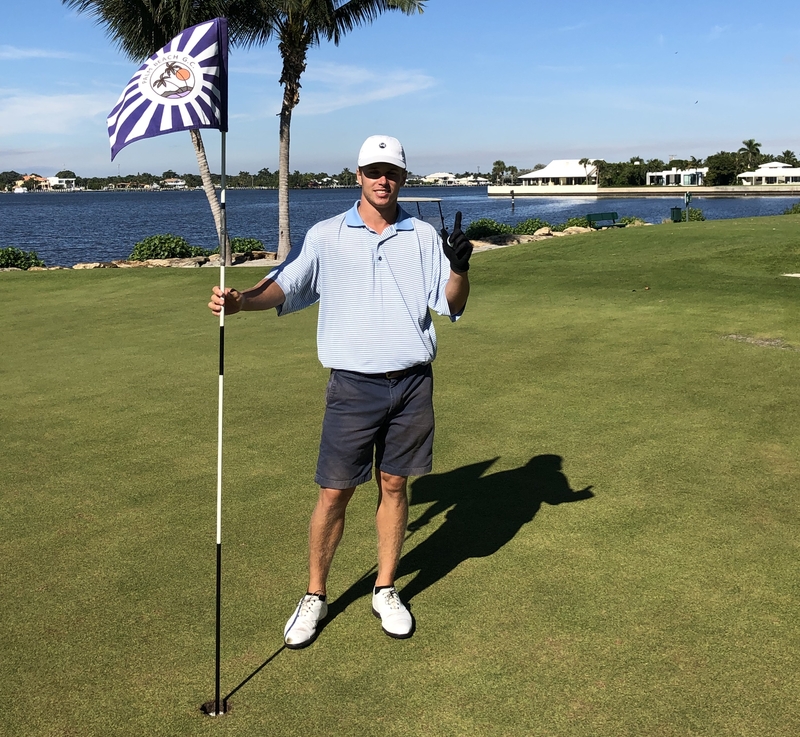 PALM BEACH, Fla. – Matt Lowe, playing in his first Minor League Golf Tour tournament, birdied the first playoff hole Monday as he paired with David Germann to win the 10th annual Holiday Par 3 Team Trilogy at the Palm Beach Par 3 Golf Club. They had tied with two other teams at 14 under par 67. At the 67-yard ninth hole, Lowe hit a wedge to about two feet and sank the putt for the win. In regulation, Lowe and Germann, of Farmingdale, NY and Clayton, NC, scored 23-23-21. They earned $900 each from the $9,240 purse. Tied for second, collecting $550 apiece, were Justin Hicks, Wellington, FL, and Marc Mazza, Palm Beach Gardens, FL, 21-24-22; and Kevin Tway, Edmond, OK, and Drew Page, Asheville, NC, 21-24-22. None of the three teams had a bogey and each twosome made 14 birdies. Coincidentally, Tway won a playoff at the Safeway Open on the PGA Tour just two months ago. 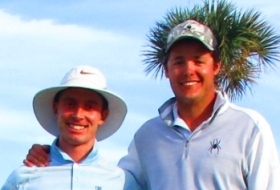 Matt Broome (a), who teamed up with his good friend Peter Uihlein decided to donate his winnings to the First Tee. Connor Greenleaf of Windham, NH, had the only hole-in-one of the day, acing the 176-yard fifth hole with a 5-iron in the modified alternate shot format. As a result, Greenleaf and Patrick Langdon of Charlotte, NC, collected the entire skins pot worth $680 apiece. Each of the 3 nines had a closest to the pin contest. The 125th and final tournament of the year drew 40 two player teams. They opened with a scramble on the back nine which played about 1,246 yards. This was followed by a modified alternate shots event on the 1,326-yard front, then four-ball stroke play on the back. This was the MLGT’s 13th Team Trilogy, the 10th to be played at the end of the season. 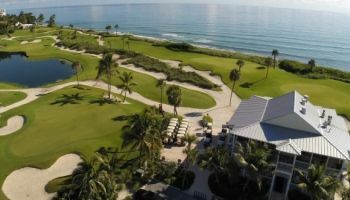 Up until the last two years, the Trilogy was staged at Jupiter Dunes GC. The MLGT has played 1,626 one-, two- and three-day tournaments since beginning in August, 2004. The 16th season opens Jan. 2 at Fountains CC-West near Lake Worth. 33% of teams earn a check. 27 Hole Team Event, par 81, 9 holes scramble, 9 holes modified alt. shot, 9 holes best ball, $350/per team, $175/per player, optional $40 per team skins and $150 bonus pool, pull carts free, golf carts avail for $15 per person.